Dental crowns and tooth bridges are two of the most widely used dental restorations that are used to replace missing teeth in a patient’s mouth. Both are fixed prosthetic devices that are anchored onto existing teeth or cemented onto dental implants. Unlike removable restorations like dentures, dental crowns and tooth bridges do away with the troublesome routine of removing the restoration when not needed and putting it back in the mouth when necessary. At A Plus Dental, dental crowns and tooth bridges are often used in patients who require the replacement of multiple teeth, and the success rate for such procedures has been phenomenal. How Do Crowns And Bridges Work? A heavily decayed tooth is very much prone to fracture and deterioration if left untreated. To remedy this condition, a dental crown works by essentially creating a cap that is used to cover the damaged tooth. By doing so, the crown is able to improve the appearance of the tooth and improve on the overall alignment of the patient’s teeth as well. In preparation for the crown, the affected tooth will be numbed using local anaesthesia so that the dentist can effectively reduce its size in order to accommodate the crown afterwards. Bridges, on the other hand, are used to replace multiple teeth that create gaps in between the patient’s existing teeth. A bridge is composed of two abutments on either end, which are essentially dental crowns that will anchor the prostheses onto the patients existing teeth. In between these abutments, pontics or artificial teeth are fabricated to replace the actual missing teeth and complete the bridge, effectively connecting one end to the other and eliminating the gap. 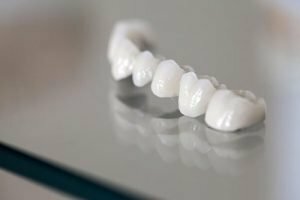 What Are The Different Types Of Crowns And Bridges? Crowns are fabricated from various materials including porcelain, gold, and other metals. Gold crowns are strong and resilient and are typically used for molars that are generally oriented towards the back of the patient’s mouth. Porcelain crowns are probably the most widely used material for fabricating crowns and are usually more useful for replacing teeth in the front part of the mouth because they can be made to appear very natural, with their colour and texture mimicking that of natural teeth very closely. Some porcelain crowns are reinforced with a metal inside and are known as porcelain fused to metal crowns, and these are used to add onto the strength of the porcelain restoration with support from within. Bridges also come in different forms to accommodate each patient’s individual requirement. Aside from the conventional kids bridges that are in use today, a cantilever bridge is designed to replace missing teeth at the back of the mouth where there can only be one end with abutments because no other teeth are present at the back to latch onto. A Maryland bridge is not used very often nowadays but were used to replace only one tooth at the time and made use of “wings” instead of abutments on either side to attach onto the two adjacent teeth. If you want to restore your smile with crowns and bridges visit A Plus Dental in Campbelltown today! We use premium materials to fabricate strong and natural-looking tooth restorations that can last for many years. 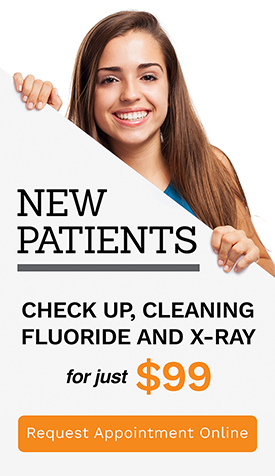 Call us at (02) 4627 3833 or visit us at Suite 3/300 Queen Street in Campbelltown.